I'm a triathlon and running coach that lives and breathes the sport every day! I believe that hard work and smart time management is the key to success. As a mom of 4 kids, I understand the importance of finding a good balance between family and training. I love to travel internationally to different races and racing long course triathlon is my favorite. I love to introduce the sport of running and triathlon to those who have never done it. I'm a triathlon and running coach that lives and breathes the sport every day! I have been racing endurance sports for the last 22 years. I began with running 5k's and marathons and now mostly race triathlon. I have a bachelors degree in Chemical Engineering. I am the Head High School Cross-Country and Track & Field Coach in my town. 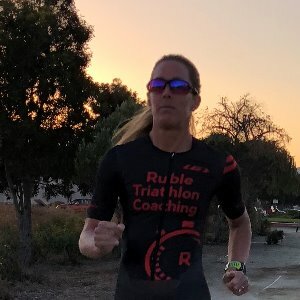 I am a USAT Level 1 Certified Coach and have coached athletes in various triathlon distances (Sprint, Olympic, 70.3, and 140.6) and road races (5k,10k, half-marathon, and marathon). As an athlete, I'm a 2x Kona Qualifier, 2x 70.3 Worlds Qualifier, and 6x Boston Marathon Qualifier. On top of all this, I'm a mom to 4 amazing kids and wife to Ross. Success. Coach Sara Randolph has been notified of your message.